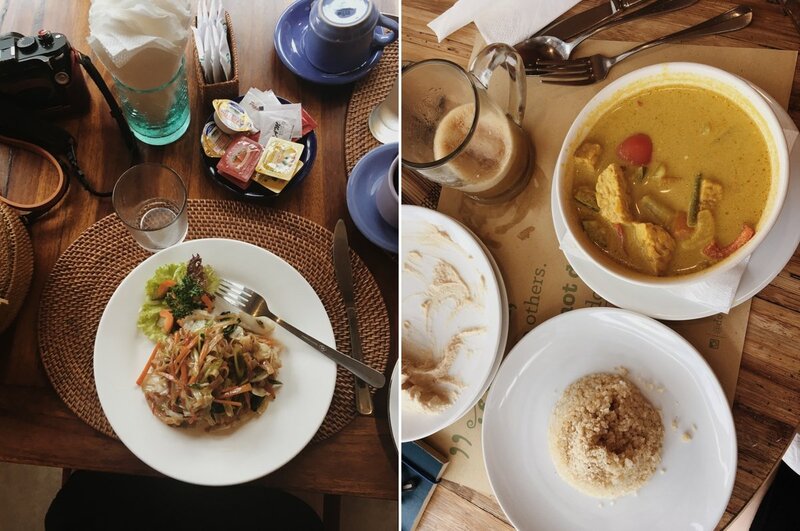 being an extremely particular eater [often vegan], entering a third world country was intimidating. in the weeks leading up to my departure for bali, i was a nervous wreck. i overate a bit at home, stocked up on peanut butter packets + larabars + drank kombucha like a crazy trying to get all the probiotics + good enzymes that i could. i spent money on all kinds of vitamins including charcoal, turmeric, biotic health drops, b12 + teas. i didn’t want to risk anything. much to my surprise, the food here has been fantastic + actually a highlight of my time here in indo. maybe some of the best food i’ve ever eaten while on travels. 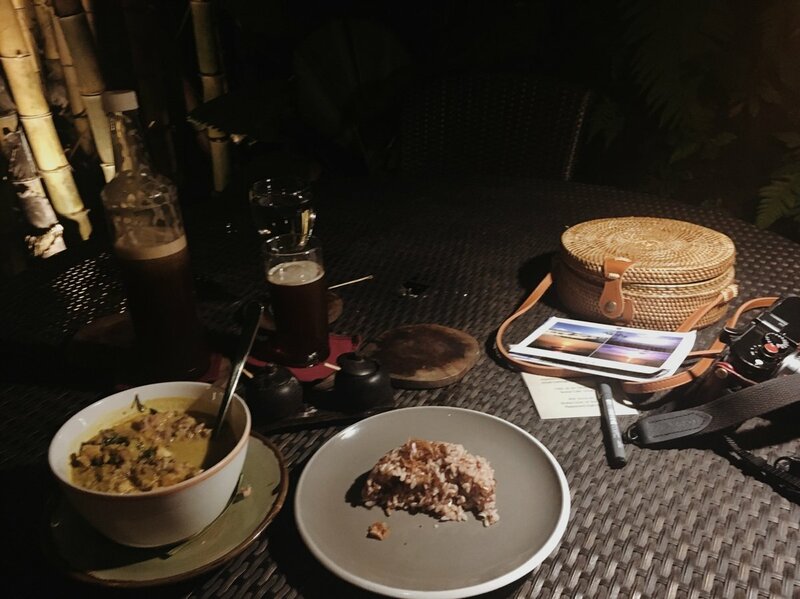 for the most part, i stuck to well known cities including ubud, canggu + a bit in jimbaran. there was a plethora of trendy eateries and cafes in all these cities- with options! all are cutely + carefully curated. the food is amazing with elaborate (+ veggie friendly) menus + variety of local fare + classic ‘american/california’ vegetarian options. almost everything was organic + locally sourced. i was able to eat veggie AND try indonesian + asian dishes. my favorite part was the price of everything. in bali, the american dollar goes very far. 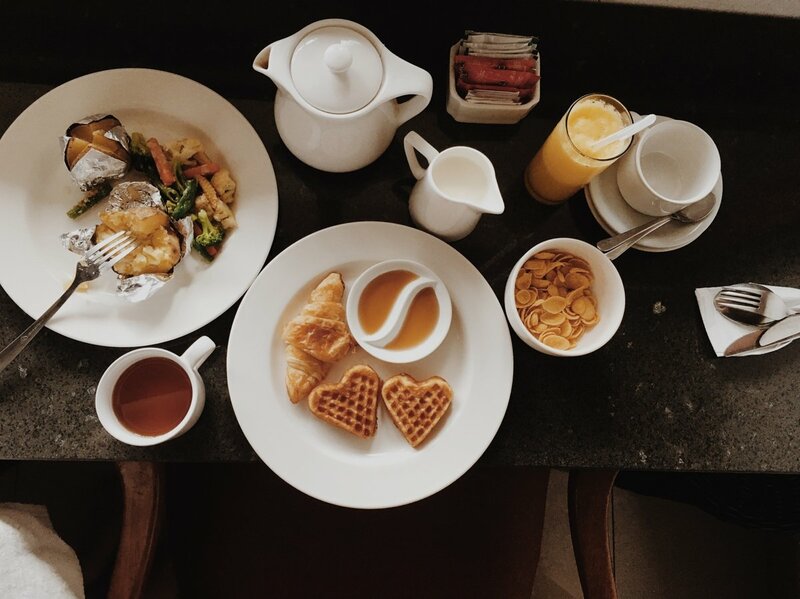 i ate like a queen for the ten days i visited. at dinners i would often get wine, sparkling water, an appetizer, entree and sometimes dessert. okay, i don’t eat that much but when i was spending time with my friend our ‘splurge’ wasn’t actually a splurge at all. i was able to get all of the above of for the same price as an app, pizza and glass of wine (for one) in los angeles. i don’t usually eat raw at home (since it tends to be $$$) but here they had some great options. one of my favorite meals was a raw veggie pesto pizza that cost $3.20 (with a $1.30 glass of coconut water)- this was a fancy place. 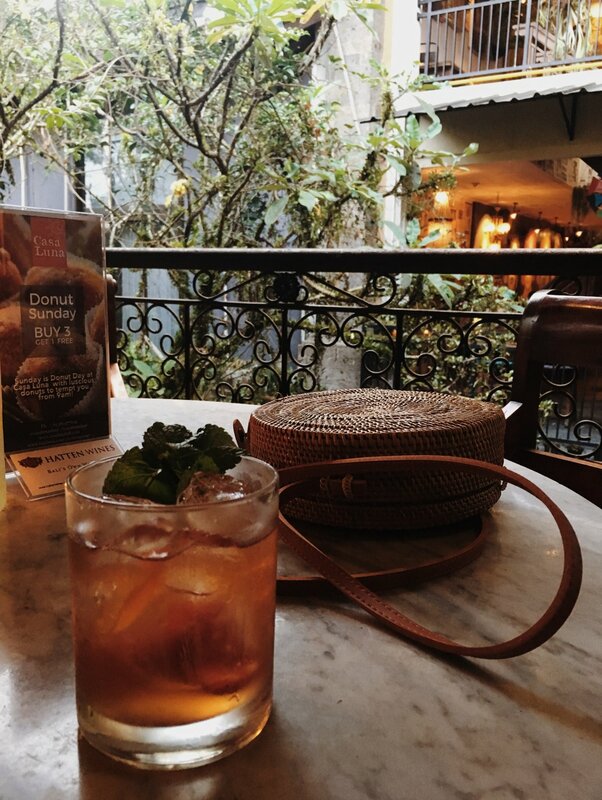 if you keep your eyes open they have many drink specials + happy hour times at most bars, especially in ubud. many are buy one, get one free. mojitos i found to be particularly refreshing on the island, as well as local rosé. 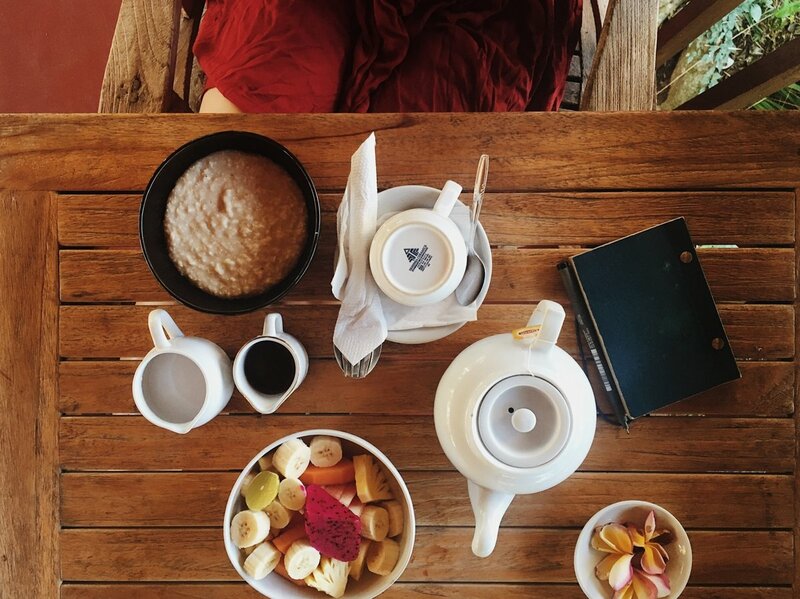 all of my villas + resorts included breakfasts with amazing options + some of the best juices + options. the most important factor for me was cleanliness. i am writing this with two days left but am happy to say that i did NOT get the infamous ‘bali belly’. with hesitation. before my travels i was also advised to only eat hot food and to bring probiotics + immunity boosters. i did end up eating a few raw vegetables here + there but avoided street + packaged food + anything that was questionable. 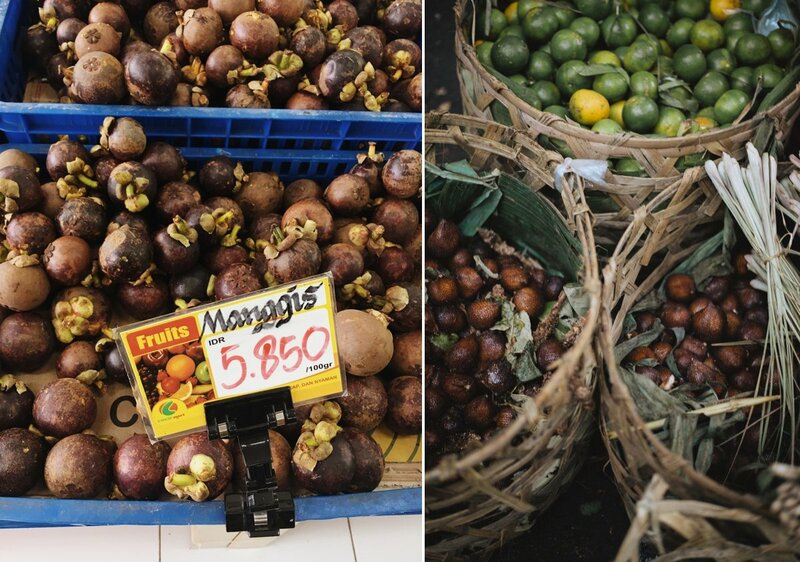 i ate some local bali fruits from the market but they had husks or shells. i highly recommend snakeskin, mangosteens + dragonfruit. there was one instance where i was offered a local fried sweet potato snack on one of my tours but only had a bite, to be polite. i only drank bottled water or water from restaurants. if it smelt funny or i had any bad feeling about it i skipped it. overall, bali is a wonder when it comes to food. with all the options + affordable prices, it was something i looked forward to daily. 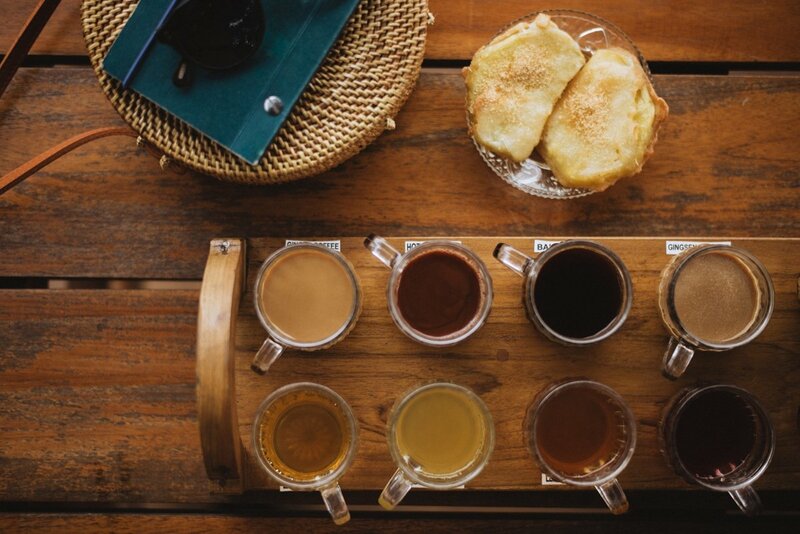 fear not when it comes to food in bali.